Dr. David Turetsky, vice president of operations for Advanced Eyecare, a Professional Optometric Group, was appointed by Gov. Jerry Brown to serve on the State Board of Optometry on December 18. Dr. Turetsky has been vice president, optometrist and partner at Advanced Eyecare, a Professional Optometric Group, since 2008. He was an optometrist and coordinator at Physicians Network Services from 2005 to 2008 and held multiple position at Pearle VisionCare Inc. from 1993 to 2005. 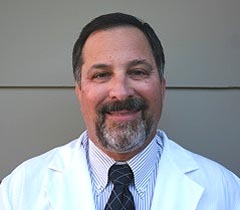 Dr. Turetsky earned a Doctor of Optometry degree from the University of California Berkeley, School of Optometry. California’s premiere provider of vision care services to residents of skilled nursing and similarly licensed facilities. Every year we serve the visual needs of over 50,000 residents providing eye examinations, treatment of eye diseases and the fitting of prescription eyewear.